Unlike typical online health coaching programs, SelfHelpWorks lifestyle and disease management courses are not merely about education. They are designed to eliminate tough-to-break habits at the core, creating lasting behavior change through a step-by-step cognitive behavioral training process that literally reconfigures the mindset and emotional context from which participants operate. Pre-recorded video of live instructors, combined with interactive quizzes and other multimedia features, create a captivating ‘live’ health coaching experience that maximizes engagement and retention. You can get an idea of the user experience by viewing the Demo Tour. 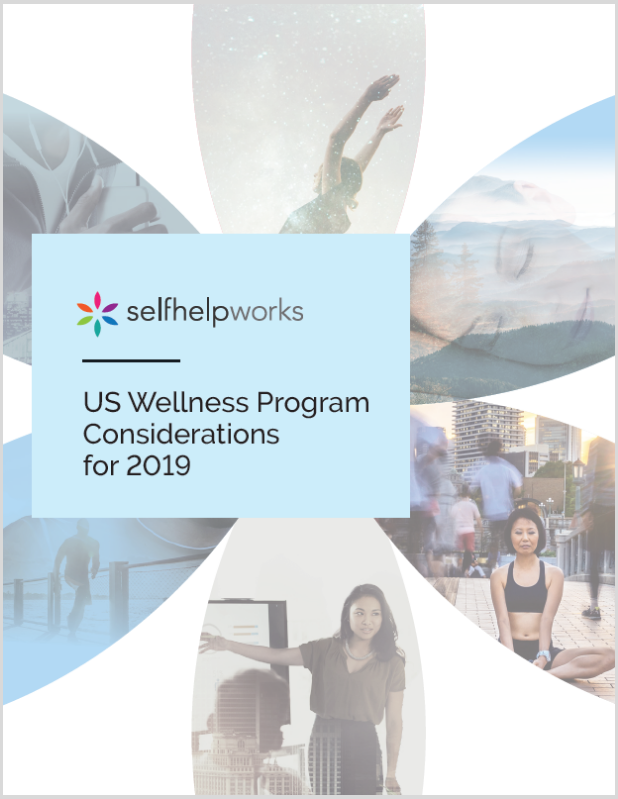 All SelfHelpWorks courses incorporate a powerful, evidence-based cognitive behavioral training process derived from cognitive behavioral therapy (CBT). The process is designed to produce lasting behavior change without the misery and frustration that accompanies unsustainable willpower-based behavior modification strategies. Have you ever wondered why some people simply cannot resist the urge to engage in unhealthy behaviors, no matter how hard they try to avoid them? It’s because certain deeply ingrained self-defeating beliefs and thoughts create an emotional state so powerful that it renders them incapable of rational choice. This explains why typical behavior modification strategies, which rely on willpower, generally cannot be sustained long-term. Cognitive behavioral training, which has its roots in cognitive behavior therapy (CBT), is different. It breaks down the self-defeating beliefs, thought patterns and resulting emotional dependencies that drive unhealthy behaviors, replacing them with empowering beliefs, rational emotional responses and healthy behavior patterns. In other words, cognitive behavioral training is designed to remove the root cause of the unhealthy behavior, thereby eliminating it without the use of willpower. I’ve done every diet known to mankind but this program was the first to address the mental side of overeating! I finally feel in control and know how to manage those urges to snack. I feel like I can have a future like normal people, not one who has to count and track everything I eat and feel guilty if I don’t. LivingEasy was such a great program that I want all the folks in my department to take it. The stress level is high – it would be great to empower them to handle this situation. Prior to taking this program I was diagnosed with pre-diabetes. My blood sugar level was 108, after completing the program by blood sugar level is below 100 and I have lost 15 pounds. I had tried to cut back my alcohol consumption for years and concluded that I was just genetically programmed to be a drinker and there was nothing I could do about it. I took the program because my employer offered me an incentive. Just 2 sessions into the program I began to believe I could really do it and I did! It’s the mind training that really works. I would recommend this program to anyone. Dr. G and Lou. Thank you. This past month is the first time in two years that I have slept every night all night without tossing and turning. I no longer worry about keeping my job because I can’t stop nodding off when trying to complete time sensitive projects. This is the first program that not only told me what to do but how to deal with the changes I needed to make that I struggled with. A corporate client engaged David Heber, MD, PhD, Professor of Medicine and Public Health and Director of the UCLA Center for Human Nutrition at the University of California, Los Angeles, to evaluate the benefits of LivingLean. Participants that completed the program as much as 6-12 months previously had lost an average of 26.6 pounds. Employees of the State of Texas that participated in the LivingEasy program to improve their resiliency, 74% reported during the program that they felt less troubled by stress and 69% felt more capable to resolve the primary stressful situation in their lives.